Autumn is the time of year when my skin just freaks out. All summer it's been glowing and blemish free (with the exception on the odd dull hangover treatment) and now 'boom', My skin literally hates me! It hates the cold, it hates the heating and it hates the harsh wind. My slap-it-on summer skincare regime just isn't going to cut it. 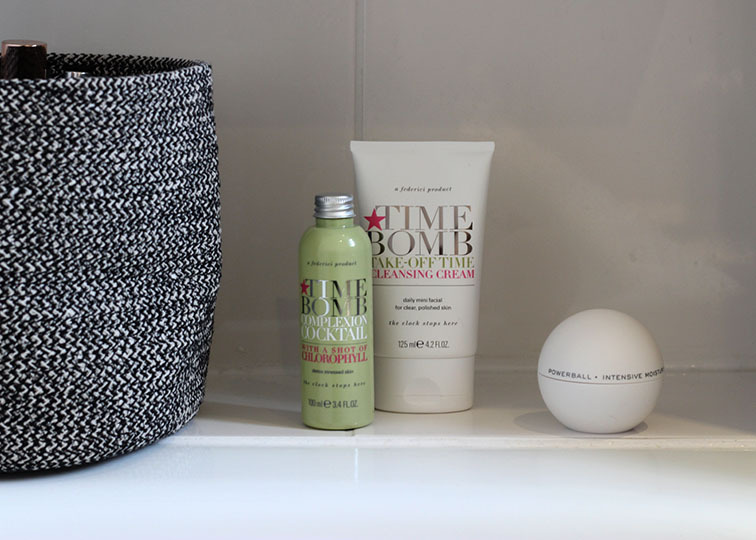 A few weeks ago Time Bomb Skincare sent me over a few of their favourite products. The brands main focus is to 'stop time on ageing' for women of all ages. With their products protecting against loss of moisture, oil and collagen I decided to give them a go. I test out a LOT of skincare products and most are pretty nice. Some products I really like and occasionally I try some that I adore. The following products from Time Bomb I definately adore. I was instantly impressed by how great my skin felt and within a week it was almost completely back on track. I tried out the Take off time cleanser, the Complexion cocktail with a shot of Chlorophyll and the Powerball intensive moisturiser. Now regular readers will probably know my skin as well as I do however for those of you who don't here's a quick update to ensure the products that I recommend are right for you too. I'd tick the 'Normal to Dry' box. I suffer from slight dryness in the winter and get the odd blemish and a bit of redness. I don't have any oily areas however my skin doesn't seem to like serums and these can create more blemishes. My favourite of the three products is the Take off time cleansing cream. This cleanser is soft and moisturising yet contains professional dermatological grade crystals that gently lift away that clinging top layer of skin. It feels like a very light scrub. I use it all over even to remove eye make-up and have has no irritation. It's brilliant. Just rub gently into damp skin and then remove with a muslin cloth. The second product is really unusual and leaves my skin feeling fresh and hydrated. I have only been using the Complexion cocktail with a shot of Chlorophyll for a week and am already noticing the results. This liquid gel like product detoxes, soothes and smoothes skin that looks rough, dry, uneven, broken-out due to stress, pollutants and unhealthy diets. It's easy to apply as you just pop a bit on your hands and rub in. The cocktail smells delicious. 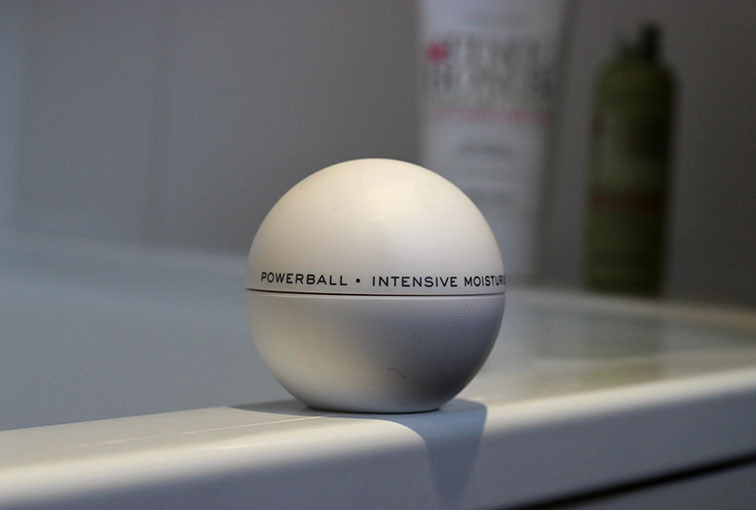 Finally the Powerball intensive moisturiser is light yet rich. 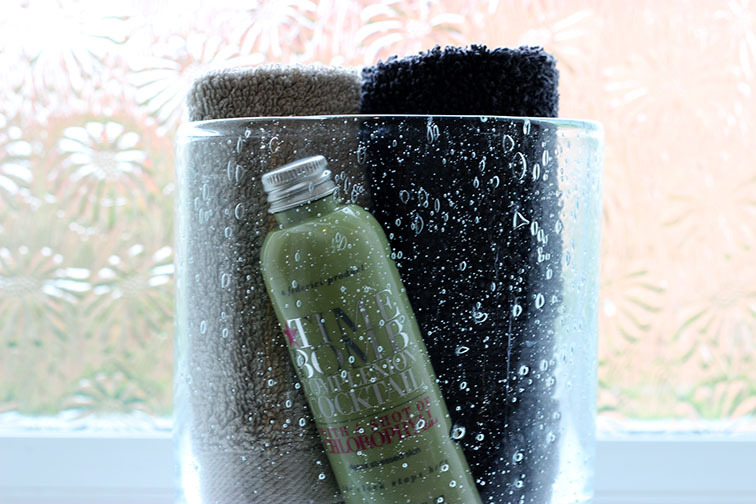 It soaks in perfectly and leaves skin soft and fresh. Even though it is intensive the cream is light enough to use morning and night and doesn't leave skin greasy. Thank you Time Bomb for sorting my winter skin early. I think I have found my staples. All available at Selfridges and selfridges.com.